Electrically Conductive Deck Plate quickly drains static charge to protect components and equipment. Static dissipative surface ideal for industrial environment. 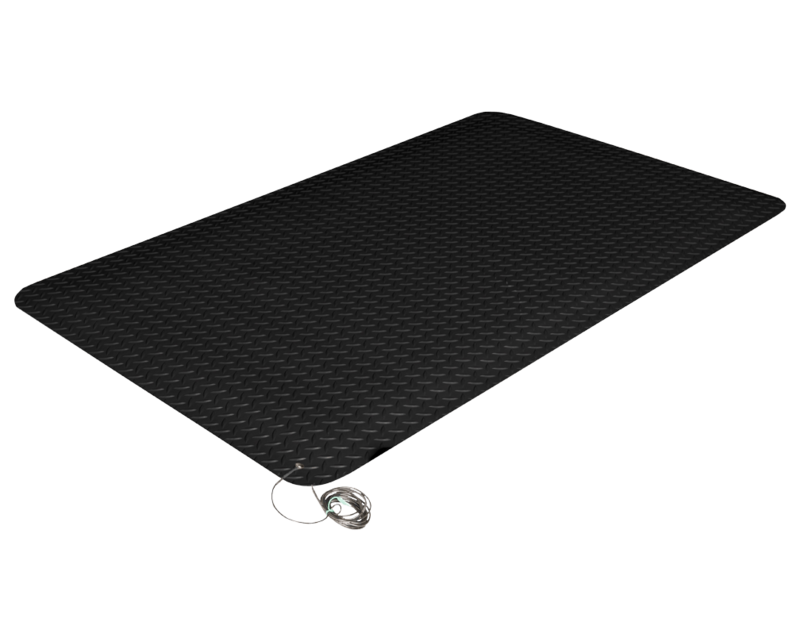 Deck plate top surface enhances traction and security. 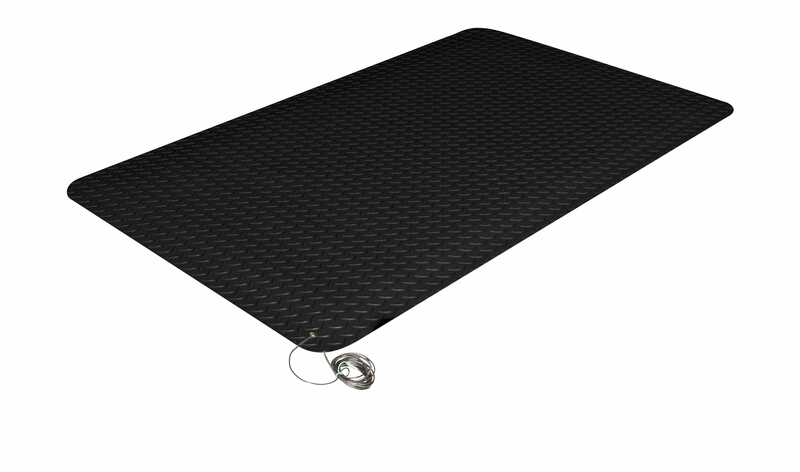 As an anti-static mat, Electrically Conductive Deck Plate will help retain safety and security in the office. PVC foam backing allows good anti-fatigue relief while standing. Provides a heavy duty solution for dry areas e.g. : Computer work station/terminal, Sensitive electronic equipment, and Electrical room. Stock mats include one grounding cord. For custom cuts and full rolls, the grounding cords must be purchased separately. It is recommended that there be one grounding cord for every 10' of matting. 75' rolls are manufactured to a tolerance of ±1". Full rolls are not beveled on ends unless specified. Rolls with beveled ends are priced as custom cuts.